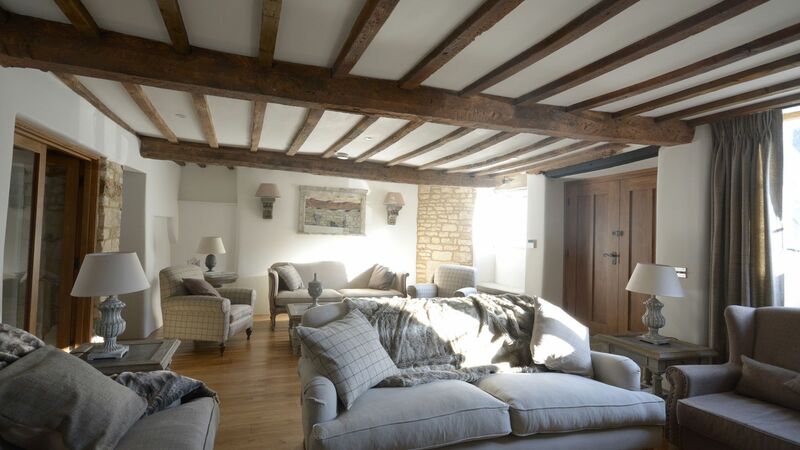 The Brewery is a luxury holiday home offering spacious accommodation for 8-10 guests within walking distance to Burford's bustling high street. As the name suggests it was a former brewery and the building still retains its original character and charm. 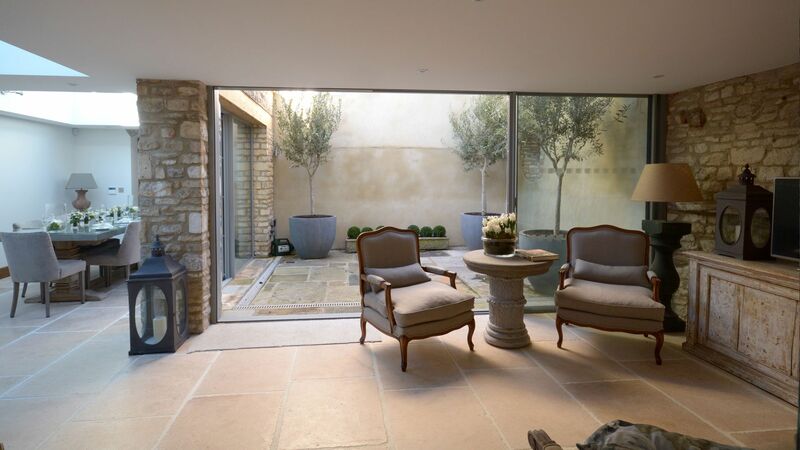 The Brewery has been refurbished to an impeccable standard including the stunning contemporary extension where you will find the kitchen and main living area, complete with sliding glazed doors into the courtyard garden. It is the perfect blend of old and new. 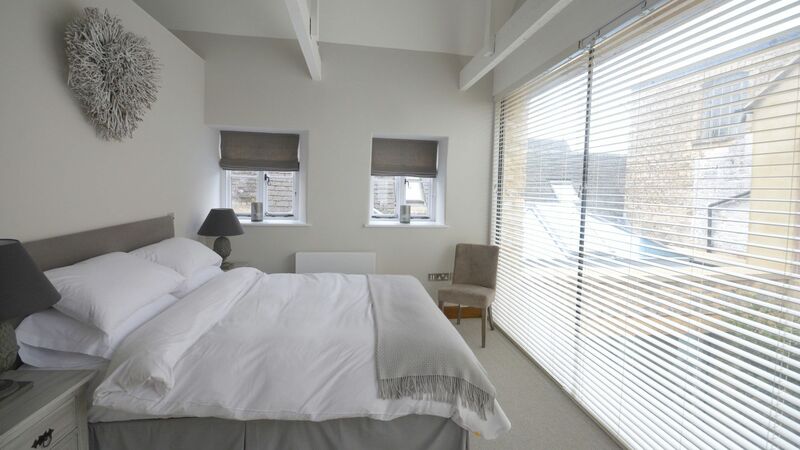 The property has four double bedrooms, three with en-suites and there is also a sofa bed where extra guests can be accommodated. 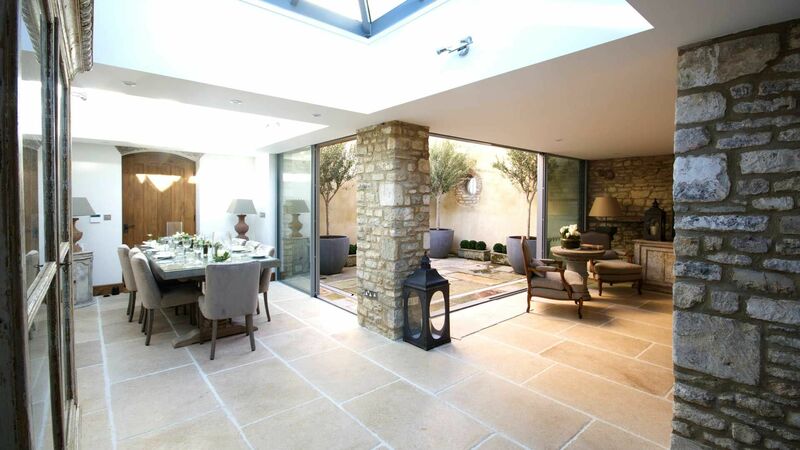 Modern open-plan living area with underfloor heating and doors which open out onto the courtyards. Sitting area, dining table for 8 and kitchen with fridge, dishwasher, oven/hob and microwave. Separate drawing room with wood burning stove and Smart TV, plus snug with double sofa bed. Utility room with washing machine, tumble dryer and loo. 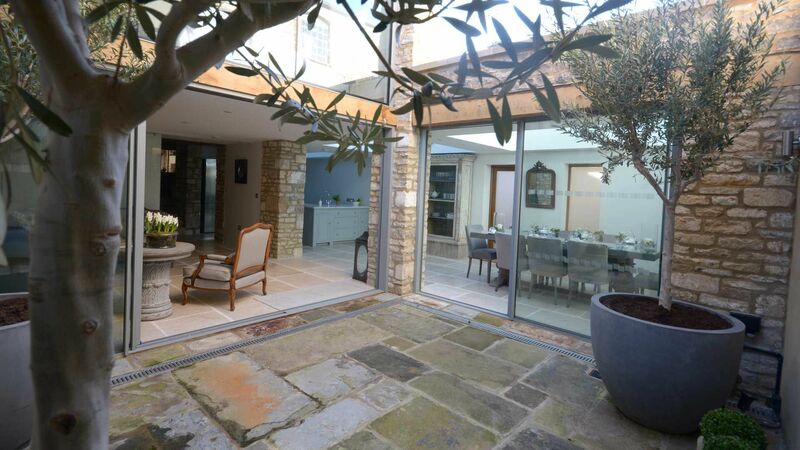 Sliding glazed doors ope out on the contemporary courtyard garden. May I pass on our thanks to all of you at Stay Cotswold and say what a wonderful few days we had at The Brewery in Burford over the Christmas period. It was, I think, one of the best Christmas celebrations we have ever had, not only did it gave us the opportunity to see all our family over the course of the Christmas week but the house itself was wonderful and made a delightful Christmas retreat. Max and I would like to thank Simon for the very warm welcome he gave us when we arrived and for meeting us at the house as planned. I'm sure he was busy with his own preparations so it was much appreciated. The lovely Christmas tree, the well stocked basket of logs and the most generous Christmas hamper made us feel very welcome. On departure, please ensure that all windows and doors are locked and the key(s) returned to the owner or back to the key safe. All rubbish and food items to be removed and for the property to be left as it was found. 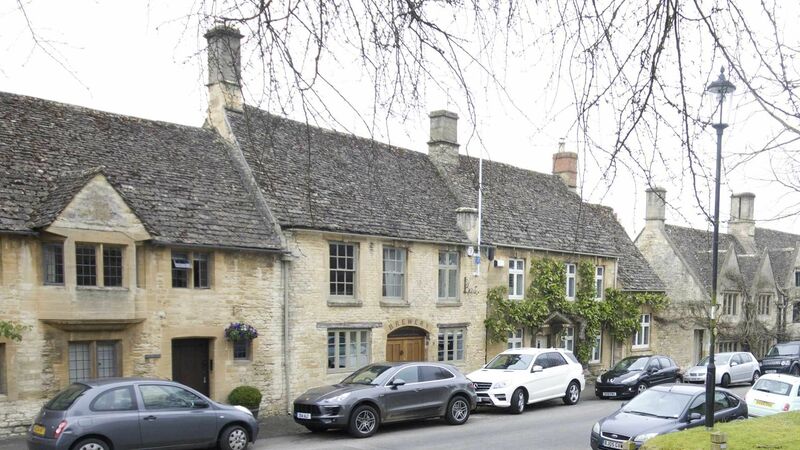 Situated in the historic town of Burford and within easy access of the A40, it is well placed for exploring the Cotswolds. In Burford itself you will find independent shops selling local produce, good pubs and cafes. We recommend The Angel where you can an enjoy a pint from the local Hook Norton Brewery!